Have you ever thought about playing some of Spain and Europe’s best golf courses? If so, you may want to consider a golfing break at the world renowned 5 star La Manga Club Resort in Murcia. The La Manga Club has been voted the best golf hotel and resort in Spain for the fifth time in succession by readers of golf magazine, Today’s Golfer. 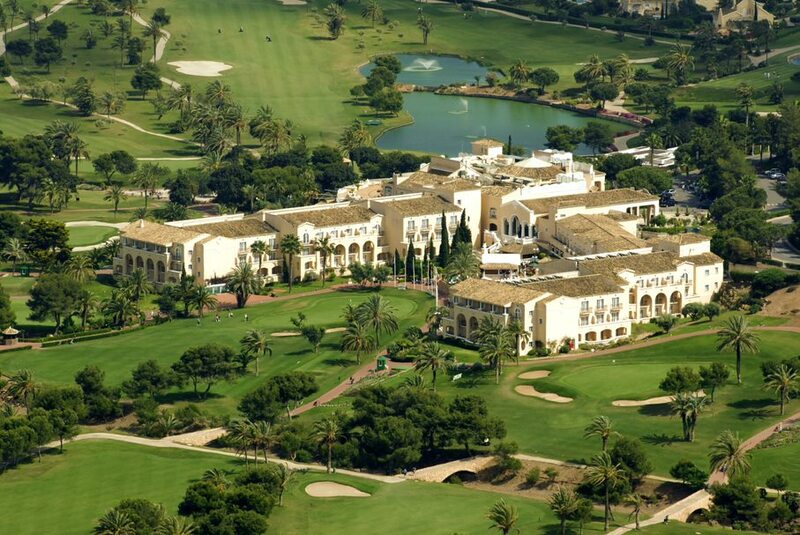 In 2017 it was awarded the title of ‘Real Golf La Manga Club’ by the Spanish Royal Household in recognition of its 45 years of service. No small accolade! 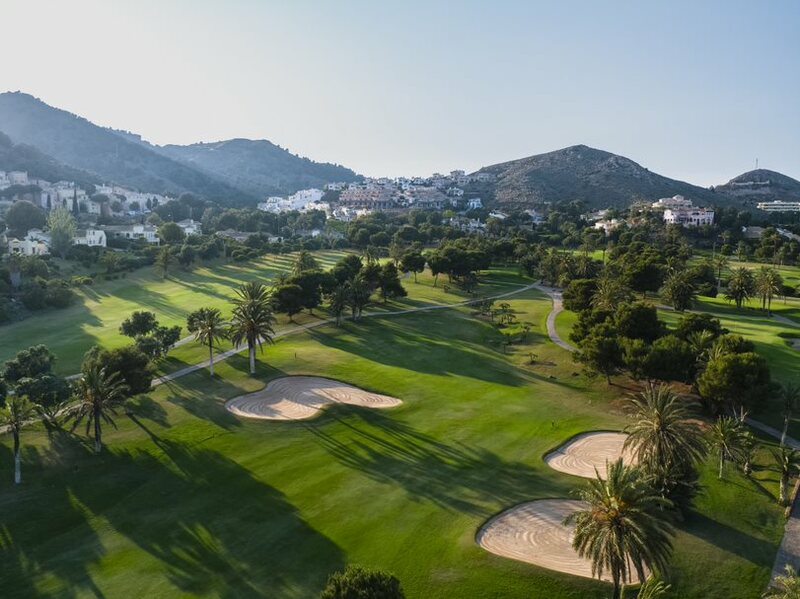 The course and the facilities on offer are so good that the La Manga Club has had the privilege of hosting a number of prestigious golfing tournaments over the years such as the Spanish Open and the Spanish PGA Tournament. There are three 18 hole golf courses to choose from including the North, South and West courses as well as an 18 hole pitch and putt. The three main courses are rated in the top 40 golf courses in Spain! North Course – Designed by Robert Dean Putman the North course measures 5,753m in length and features a number of natural storm gullies, known locally as ‘Barrancas’. The fairways are tight here and although the greens are large, you will need a good touch around them as they have plenty of undulation and movement. South Course – Also designed by Putman and later redesigned by the great Arnold Palmer, the South course has had the pleasure of hosting a number of professional championships over the years including the Spanish Open, PGA qualifiers and European tour competitions. The course is fairly long at over 6,500m and features water hazards on 15 out of the 18 holes. West Course – Designed by Dave Thomas, the West course is considered to be one of the top 100 golf courses in Europe by golf magazine, Golf World UK. The course is an excellent challenge and features varying elevation among the holes. The front nine will require accurate driving to avoid the ‘Barrancas’ while the hilly back nine holes are narrower and presents a totally different challenge. 18 Hole Pitch & Putt – Designed by Spanish golf legend, Severiano Ballesteros the 18 hole par 3 course is the perfect place to improve your short game and features bunkers, water hazards and light rough. There’s a reason why so many consider La Manga Club Resort one of the best golf and sports resorts on the planet and that’s because of the facilities that it offers. Golf Practice Centre – The practice centre is thought to be the best in Europe offering a driving range, putting green, practice bunkers and more. Golf Academy & Training Centre – Directed by David Leadbetter the training the centre is the place to go if you want to improve your game under the watchful eye of some of the best golf professionals in the country. Lessons can be made for individuals or groups. Wellness Centre – The wellness centre features a spa, fitness centre and high performance centre (HPC), which is used by top athletes looking to boost their performance. Pro-Shop – At the shop you will find a wide range of all of the latest golfing equipment on offer. 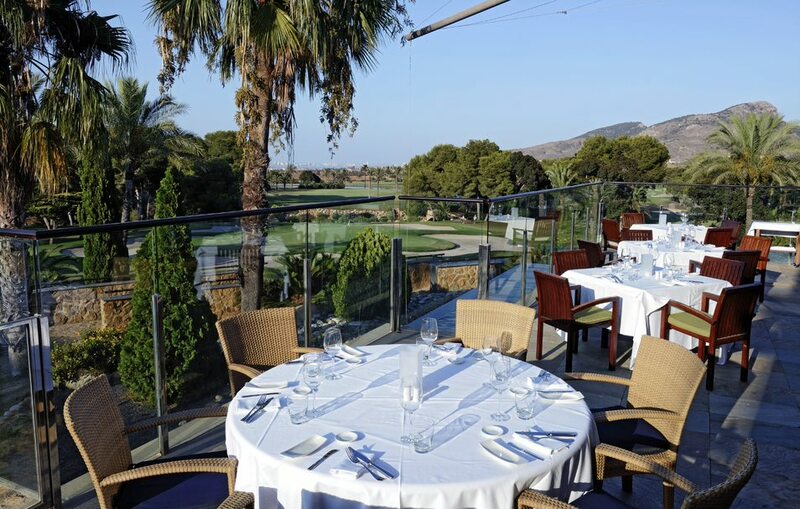 37 Spike Bar & Restaurant – Here you can enjoy breakfast, lunch or tapas from the terrace while overlooking the course. Free Wi-Fi is also available. Don’t worry if that’s not for you as there are a total of 15 bars and restaurants at La Manga Club to choose from. First Class Accommodation – There are ample places to stay at La Manga Club including the 5 star Principe Felipe Hotel and the 4 star Las Lomas Holiday Village which has around 170 self catering style holiday apartments. Sporting Excellence Guaranteed – La Manga Club is renowned for the sporting facilities that are available which includes golf, tennis, squash, padel tennis, football, rugby, triathlon, horse riding, scuba diving, mountain biking, Gaelic football, lacrosse, netball and rambling. 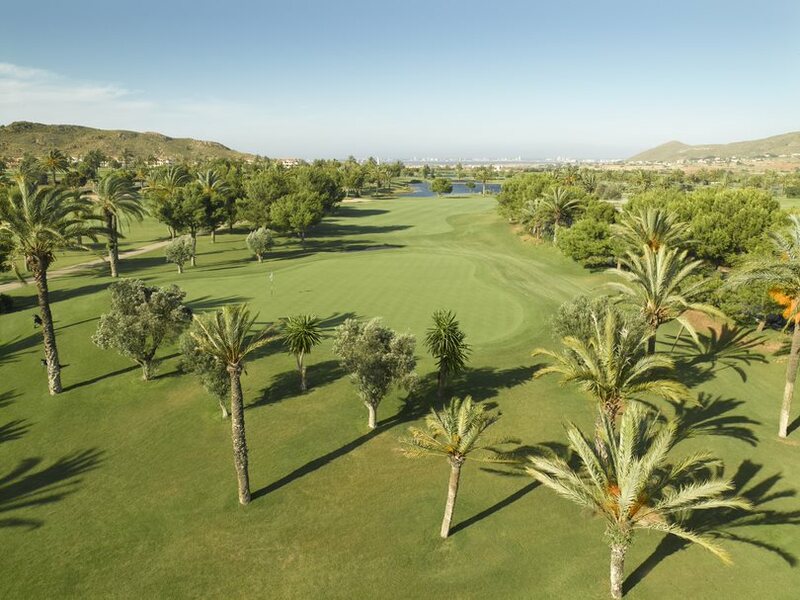 La Manga Club is bordered by natural parks and unspoilt beaches and coupled with the fact that the area has over 300 days of sunshine each year, means La Manga Club and Murcia are the perfect choice for those looking to explore this beautiful landscape while on their golf break. Now that you know so much about La Manga Club, it’s only right we at Golf Breaks In Spain tell you about the great golf package we have available at the resort.